Transforming regular folk into Heyheads weekly. 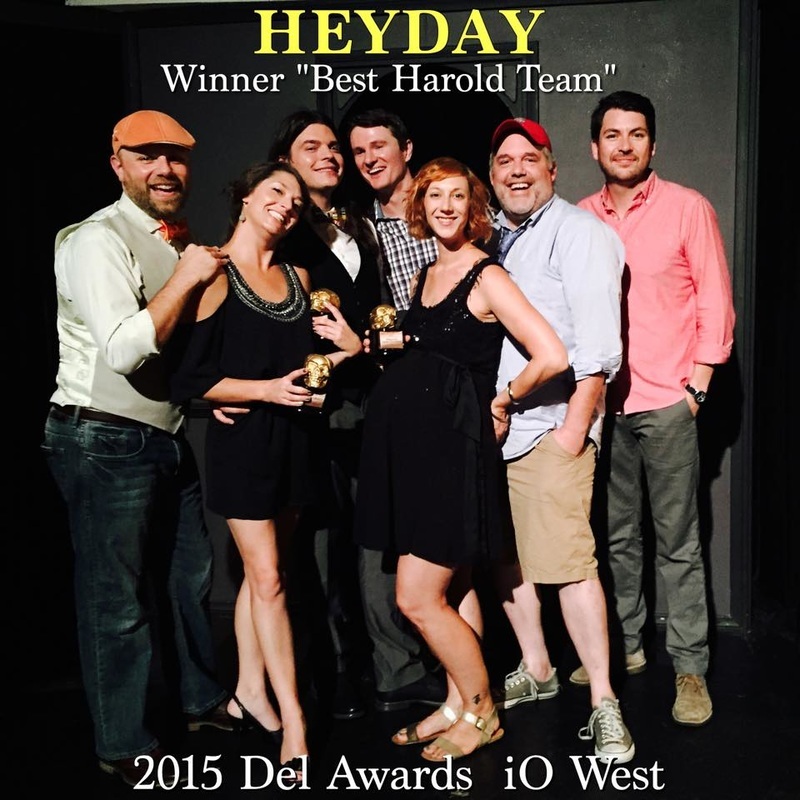 Heyday is an iO West House Harold Team and we perform every Wednesday at 9:00pm on the Main Stage. Exploring The Harold, and ourselves, one bit at a time. "I've seen about 2,000 or more improv shows over the past 10 years... minimum. This is one of the best ever...top 1%. Superb. Each member is superb and the team is superb." "They [Heyday] are a visual lesson in how the improv style of 'Harold' works when done at the highest level." "Wednesdays at 9:30 pm at iO West is when you can see them."